Kewa Phagsha is what this dish is called. 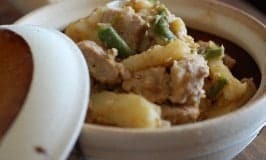 This main pork and potatoes dish cooks up in water and is deliciously seasoned with hints of garlic, ginger and of course chilies. 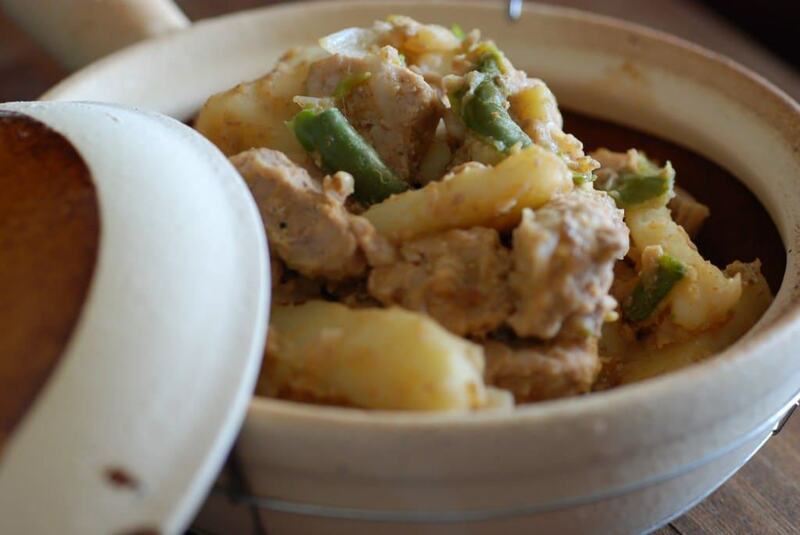 It’s spicy and pairs nicely with Bhutanese red rice. A quick and easy main dish. Of course adjust the type of chili you use based on your heat tolerance. In Bhutan they like it super hot, perhaps to keep warm in the Himalayas. In a sauce pan put in the pork and cover with 1¾ cups of water and a pinch of salt. Add in the chilies, potato, onion and canola oil. Cook until the potato is just shy of fork tender.